Where does The Villages rank on this month's list? It’s a new year and a new chance to start a search for the right active adult community to call home. But sometimes it’s hard to know where to begin. We recommend checking to see what other 55+ buyers are looking at in order to get a sense of what’s popular and what’s in demand. There’s no better time than right now to check in with 55places.com readers to see which communities they considered last month. We took a look at 55places.com traffic between January 1 and January 31 to determine the ten communities that received the most visits overall. Chances are you’ve heard of some of them already, but feel free to dig around and see why they’re so popular. We’re not surprised to see Latitude Margaritaville Daytona Beach retake the top stop this month considering they were named 55places.com 55+ community of the year at the beginning of it. We’re also getting closer to the launch of amenities, including a town square with live music, a resort-style pool, and a private beachfront club on the Atlantic Ocean. And now that resales have begun here, we don’t expect the interest to wane. On Top of the World stays in the top-two after finishing No. 1 overall in December. With 10,000 planned homes, this sought-after community strives to provide residents with every convenience and luxury they need. Homeowners can even participate in over 175 organized clubs that keep them physically and socially active, from pickleball and bowling to gardening and traveling. Now, buyers looking to build a new property in the community will have the option to include an Amazon Smart Home Package. 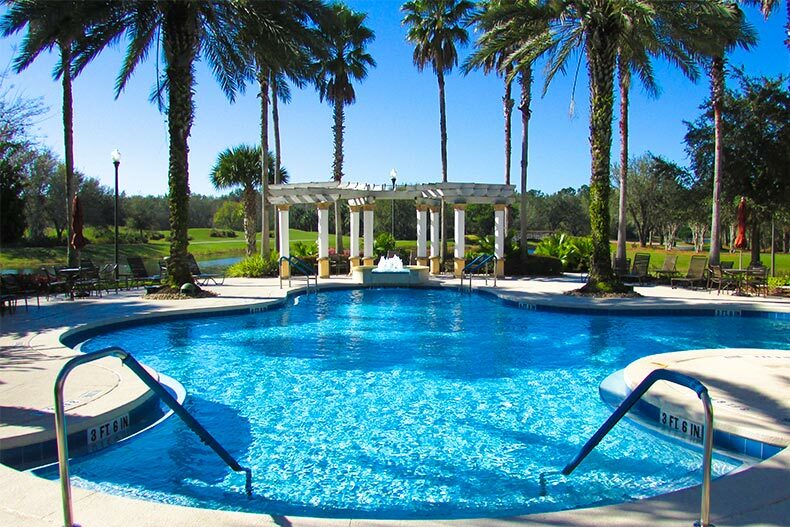 It seems like Sun City Hilton Head will never leave our top 10 lists. Just 13 miles west of the famous Hilton Head Island, residents of Sun City Hilton Head are never too far from the beach. With more than 8,000 new and resale homes, 54 holes of golf, and so many other amenities that it’s hard to keep track of them all, it’s no wonder that the residents we’ve talked to rave about the life here. 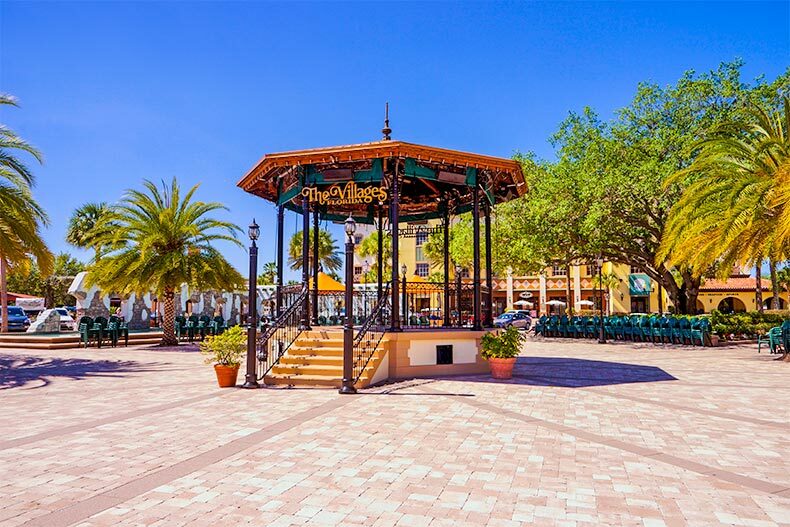 As one of the largest 55+ active adult communities in Florida—and the world—many homebuyers want to learn more about the community known as Florida’s Friendliest Hometown. The Villages boasts more amenities per capita than any city or age-restricted neighborhood in the country. Nearly every imaginable amenity can be found in this 55+ community, including three town squares, two bowling alleys, numerous hobby and craft studios, and RV parking. There’s also a lot of myths to cut through when it comes to life here. As one of the first 55+ active adult community in the country, Sun City now includes over 26,000 homes, 11 golf courses, and countless amenities and social clubs worth exploring. Homebuyers continue to flock to Sun City for its incredible home values, low property taxes, and minimal homeowners' association fees. Desirable amenities include golf courses, indoor and outdoor swimming pools, fishing lakes, and a performing arts center. The age-restricted Sun City Center community stands out for its variety of amenities and lifestyle activities. Residents can enjoy a 97,000 square-foot clubhouse, indoor and outdoor pools, arts and crafts studios, and more, all accessible by golf cart. Active adults can also play golf, tennis, pickleball, volleyball, and softball under skies filled with sunshine on more than 300 days each year. Many visitors find themselves considering both Sun City Center and Kings Point, which is located within the community. Solivita's resort-style amenities are a big draw for active adults. The Riviera Spa and Fitness Center, a 32,000 square-foot facility featuring an indoor walking track above an indoor heated lap and exercise pool, is just one of the amenities that make Solivita such a desirable active adult community. An amenity complex, ballroom, golf club, art studio, and outdoor recreation park all impress adults who want to stay active and social. Many homebuyers also consider this golf cart-friendly community as a desirable retirement destination for its affordable home prices and convenient location. Oak Run offers an ideal blend of large community amenities with a small, close-knit neighborhood feel. This established 55+ community offers reasonably priced resale homes and a robust lifestyle offering with over 100 clubs and interest groups. There’s an option to purchase a golf membership or a social membership at Royal Oaks Golf Club, which includes 18 holes of championship golf, a restaurant, and a pro shop. Residents participate in a long list of activities and clubs, including yoga, table tennis, gardening, and theater. The third Del Webb active adult community in Phoenix's northwest valley is as popular as ever. That’s due to Sun City Grand’s lineup of amenities, social activities, and golf courses. Between the four golf courses and five different amenity centers, multiple pools, and the ASU Lifelong Learning Academy, there is no shortage of things for residents to do. The 45+ age-restriction also means residents can consider getting in early and settling in for all that fun ahead. This massive 16,900-home community attracts a lot of buyers’ interest simply because of how much you can get here without spending a whole lot of money. The core component of life at Sun City West is The R.H. Johnson Center, which encompasses 48 acres and six activity areas with 118,000 square feet of amenities. 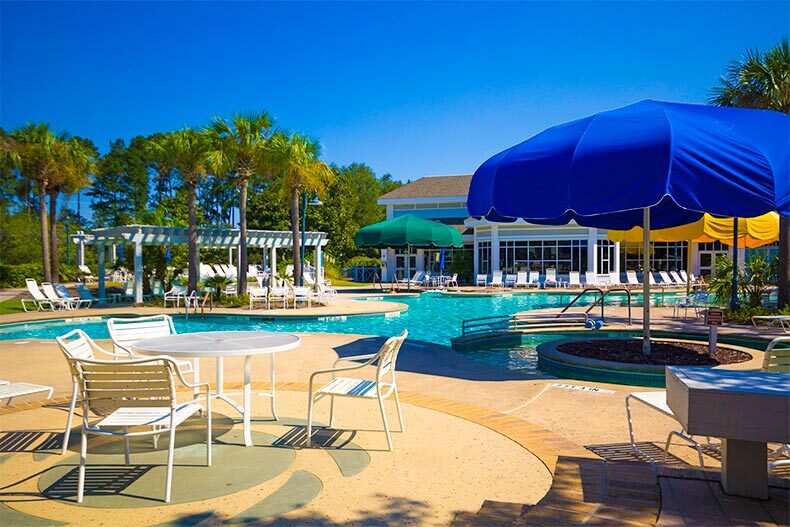 And with over 100 chartered clubs and interest groups, residents are in constant motion as they jump from activity to activity (unless, of course, they’d rather just lounge by the pool).